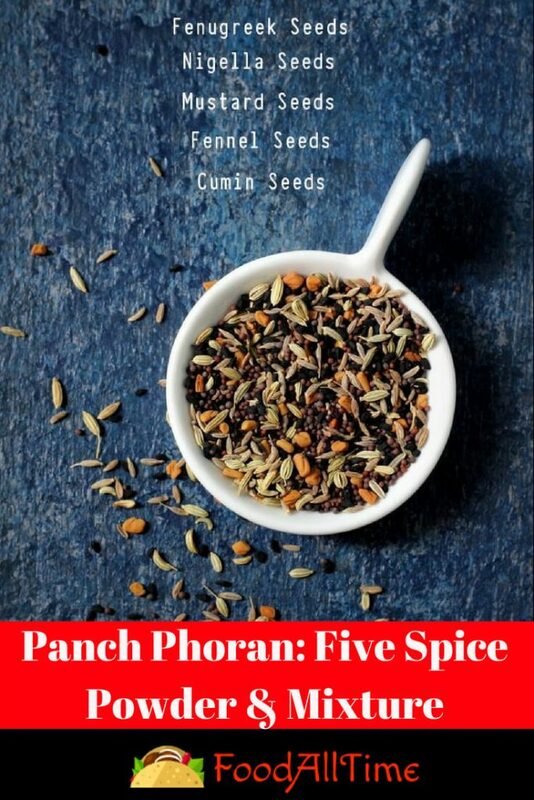 Panch Phoron literally means “five spices.” This blend of spices commonly used in Eastern India and it consists of the following seeds: Cumin, Black Mustard, Fenugreek, Nigella and Fennel. The spices are left whole (depending on how they’re being used) and are either dry roasted or fried in oil in order to coax out their pungent flavours. 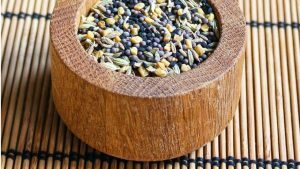 Panch Phoron is also a delicious addition to any “carb-like” foods such as bread, potatoes and naan bread and with a dash of mint, it tastes awesome. Many of my posts, for example, Mango Pickle, Kaddu Ki Sabji, Aloo Tamatar Ki Sabji, Fish and Lau Tenga, Bilahir Tok, Labra etc have Panch Phoron as their tempering. Panch Phoron is quite the extraordinary which can be easily prepared at home by adding 1tsp of all the mentioned spices. There hardly have words to describe its flavour. It’s simply awesome. It can turn a mundane pumpkin into a mouthwatering dish to be relished. Panch Phoron adds a wonderful depth and flavour to any dish it’s added to and brings it to life. 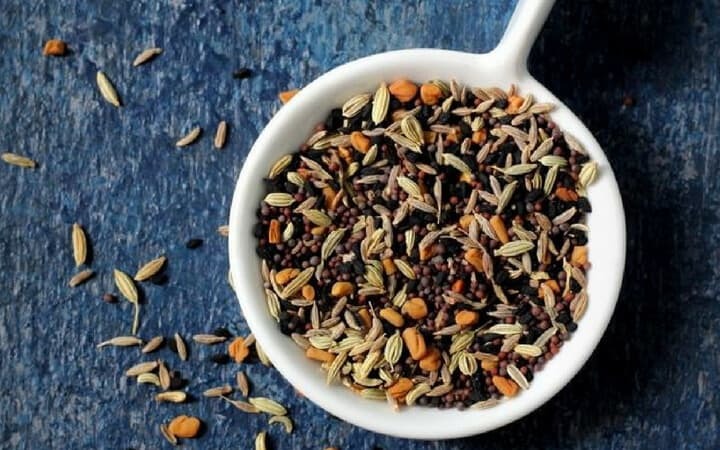 A quick spice blend to make, give it a try and you’ll be reaching for it any time you have a hankering for authentic Indian food. I will be posting some more of my recipes in the near future that call for this spice blend. The first ingredient of Panch Phoron is Fennel Seeds/Saunf. India is the largest exporter of fennel seeds, widely known as saunf. Use of fennel seeds/saunf is integrated into our daily lives. From a mouth freshener to being used in vegetables and curries, tea and even paan we Indians have a habit of using it everywhere as per our need of it. The age-old practice of most Indian households is to have few fennel seeds or saunf at the end of every meal. 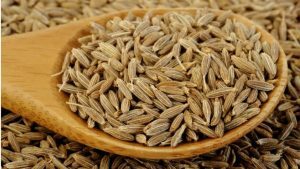 Fennel seed is a concentrated source of minerals like Copper, Potassium, Calcium, Zinc, Manganese, Vitamin C, Iron, Selenium and Magnesium, does much more than simply beat bad breath. So if you think it is only to freshen you gotta think again. The secrets of health can be found in the simplest ingredients in our kitchens. 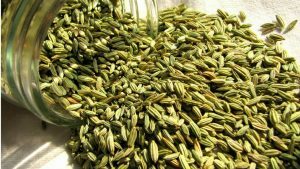 Some 9 great fennel seed benefits are-it helps regulate blood pressure, reduces water retention in the body (drinking fennel tea, regularly helps flush out excess fluids as it works as a diuretic,) it is excellent for constipation, indigestion & bloating, reduces asthma symptoms, helps purify the blood, improves eyesight. According to Ayurveda, fennel seeds reduce all 3 trodosha (vata, pita, kapha), it’s great for acne and keeps cancer away. The second ingredient of Panch Phoron is Jeera/Cumin. Spices play an important role in making a dish more flavorful. Indian cuisine is especially known to have some of the healthiest traditional spices as its main ingredients. Cumin is one such spice that forms an integral part of various dishes in the Indian cuisine. Commonly known as Jeera/Cumin it is usually purchased in the form of whole dried seeds or as ground powder. It is a typical ingredient in many spice blends, such as curry powder. It is brownish in colour and oblong shaped, tapering at each extremity with tiny stalks attached. Cumin is a staple spice in many cuisines, especially Mexican, Indian, African, and Asian. Apart from cooking, cumin has also been used medicinally in many parts of the world for some years. I generally fry or roast them before usage. They also form an integral part of tempering in my recipes. The health benefits of cumin include its ability to aid in digestion, improve immunity, and treat skin disorders and insomnia. It also helps treat anaemia, boils, cancer, and respiratory disorders such as asthma and bronchitis. Prevention of cancer, curing piles, fighting common cold, soothing inflammation, treating diarrhoea, increasing lactation, improving memory etc. The list is never-ending. The third ingredient of Panch Phoron is Fenugreek/Methi Dana. Fenugreek/Methi Dana is one herb whose leaves and seeds have been used since millennia our Indian cuisines. Fenugreek, commonly referred to as ‘Methi’ in Hindi, has made a permanent place for itself in many households. Traditionally, fenugreek leaves are dried and preserved to be used later in gravies. It lends a smoky flavour to the gravies. Its seeds have been used as a condiment to promote better health and as a potent hair potion. But recent research indicates that they can do much more than that. 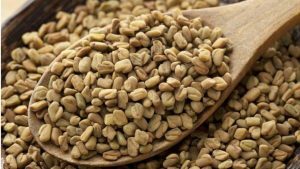 From adding flavour to dishes and controlling diabetes, to inducing labour, fenugreek seeds have had diverse benefits for your skin, hair, and health. Curing Acne, Moisturizing Skin, Prevention of Hair Loss, Fighting Dandruff, Controlling Diabetes, Preventing Heart Attacks and Cancer, Reducing Cholesterol, Aiding in Digestion, Helping with Weight Loss, Improving Kidney Function and providing protection to the liver are just a few benefits of Fenugreek/Methi Dana. The fourth ingredient of Panch Phoron is Kalongi/Black Cumin, Nigella Seeds. 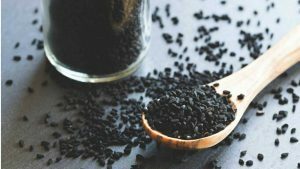 Also known as black cumin, nigella or by its scientific name Nigella sativa, kalonji belongs to the buttercup family of flowering plants. The kalonji, or Nigella seeds, is an interesting spice. –it adds a beautiful aroma to the dishes when used for tempering. It has a flavour that you can’t quite nail. In India, dry roasted kalonji is used for flavouring curries, dal, stir-fried vegetables, and even savouries such as samosa, pickles papads and kachori among others. In addition to its culinary use, kalonji is known for its medicinal properties. Fighting Acne, Keeping a Check on Diabetes, Increasing Memory and Alleviates Asthma, Controlling Blood Pressure, Protecting the Kidney, Easing Joint Pain and Strengthening Immunity are only some of the enormous benefits of this herb. When you’re buying nigella seeds, remember to check the pack carefully; the seeds are beautiful and jet black and shouldn’t look stale or grey. Storing nigella is important. Always store it in a dry place and make sure it doesn’t come in contact with moisture. You normally won’t be using it in normal tempering on a daily basis so don’t buy large quantities of kalonji. 100 grams can take you a long way, so buy in smaller portions. This will prevent the seed from losing its aroma and benefits by sitting on the shelf for too long. The fifth ingredient of Panch Phoron is Mustard seeds/Sarso/Rai. Mustard seeds, also known as ‘Sarso‘ or ‘Rai‘ in Hindi. Mustard seeds are largely used for tempering dishes. It is also used in non-vegetarian dishes to enhance the taste of meats and fishes. It can also be used for pickling and in chutneys. Brown mustard seeds are used for garnishing, once sautéed in oil a little. Another great way of putting mustard seeds to use is in salad dressings. Make sure you don’t overcook mustard seeds or their taste may turn bitter. Benefits of mustard seeds are many and popularly used for taste generally in hot dogs, burgers, pizzas and commonly used as tempering in Indian cuisines and pastes for gravies of fish in Assam/Bengal. Where mustard sauce is very much preferred. In India, we consume the seeds as well as the leaves of mustard seeds. Sarson Da Saag is a hot favourite in winters. 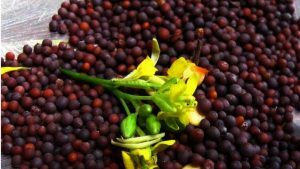 Apart from the taste benefits of mustard seeds and the easy availability that made them popular, one can find a number of mustard seed benefits for our health too. Some of the mustard seeds health benefits are – cancer treatment, rheumatic arthritis, migraine, is known to relieve respiration congestion, good source of dietary fibre that improve digestion, a number of nutrients present in mustard seeds like copper, iron, magnesium and selenium also assist in the treatment of blood pressure and menopause relief. Sulphur present in mustard seeds is known for its anti-fungal properties. Always store mustard seeds in a cool place in an air-tight container so that it is sealed properly. Whole mustard seeds can last up to one year (at least) and powdered or ground ones last as long as six months. Description: Panch Phoron literally means “five spices.” This blend of spices commonly used in Eastern India and it consists of the following seeds: Cumin, Brown Mustard, Fenugreek, Nigella and Fennel. The spices are left whole (depending on how they’re being used) and are either dry roasted or fried in oil in order to coax out their pungent flavours.